I was trying to do something that's been relatively simple on the Internet up till now - downloading a file. Somehow Microsoft messed that up and I got an error message every time I tried downloading the Windows 10 ISO. 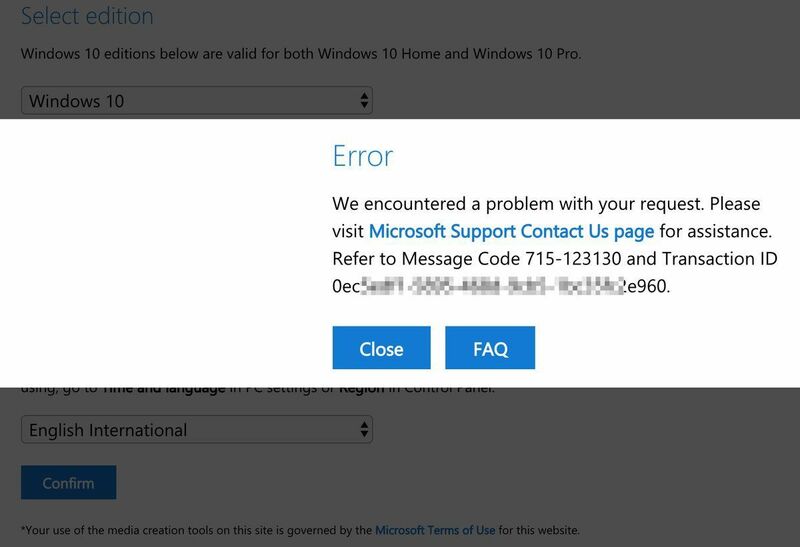 The error provides a link to a "Contact Us" page with a few different ways to get help. I figured I'd go with an online chat since that's the most convenient method when I'm sitting here programming anyway. 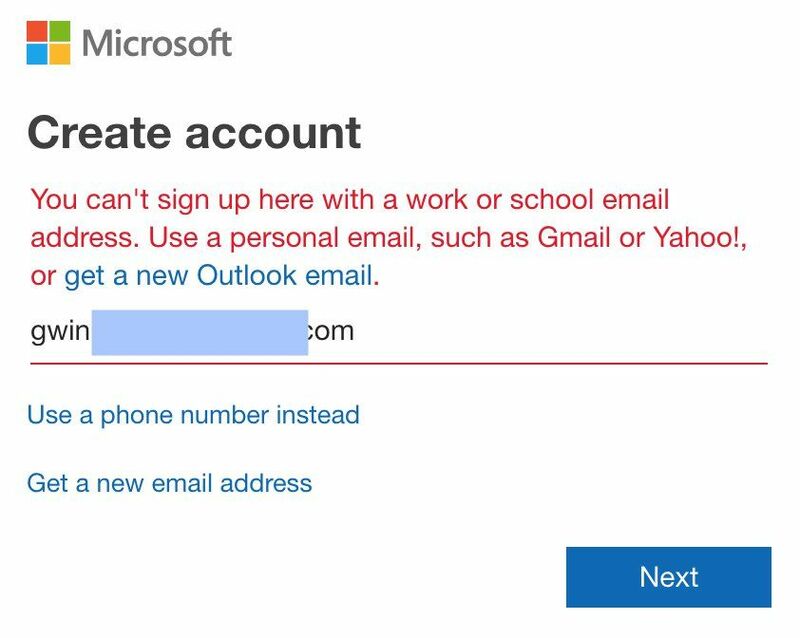 I have an account with my personal email but left my 2FA device at home, so tried my work email. Of course not. Sigh. It's like being stuck in one of those M.C. 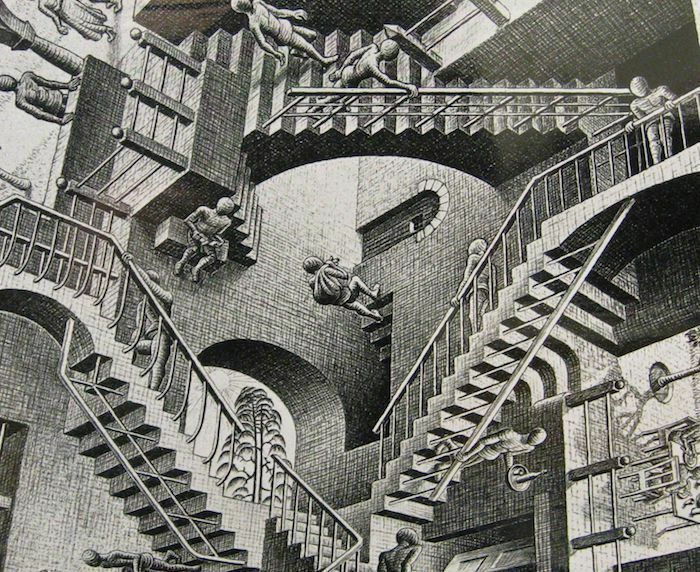 Escher drawings. You know, the ones where climbing to the top of a stairwell leads to the top of another stair well, and all the stairs eventually go sideways and upside down. And everyone seems cool with it. Once you're chatting with the support person, ask for a direct link. I had a bit of a runaround for a few minutes - the tech seemed to be seeing other options on his screen, and then he offered to remotely connect to help me download the file. I got short with him, but it's completely unnecessary - we're talking about downloading a file, not walking through a complicated process. 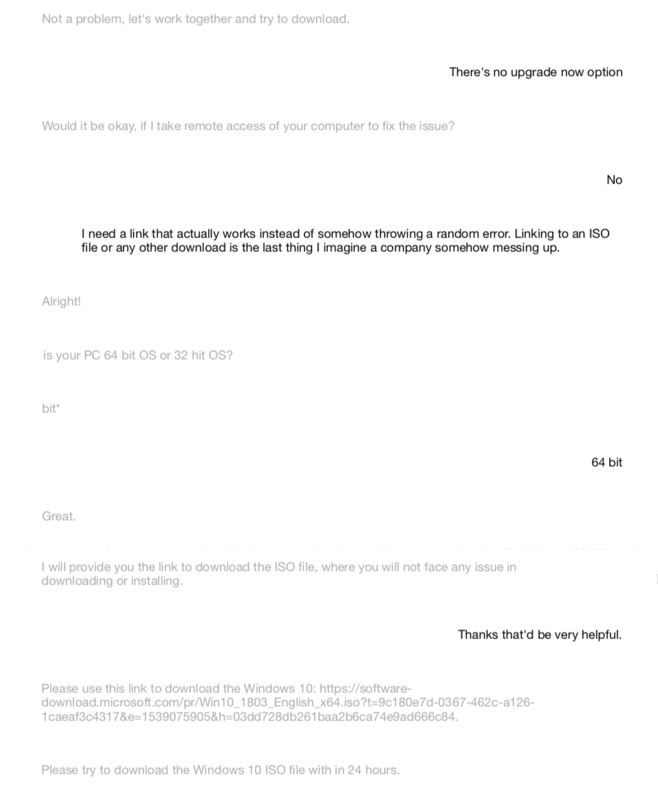 After I declined the offer, he provided a direct link to the latest build, and I was good to go. I really wish Microsoft would stop trying to be so smart that a file download throws indecipherable errors! Just provide a list of downloads for different versions, similar to what we see in MSDN, and be done with it. And if you have access to MSDN, just use that instead. Too many options are better than feeling like there's no option at all.